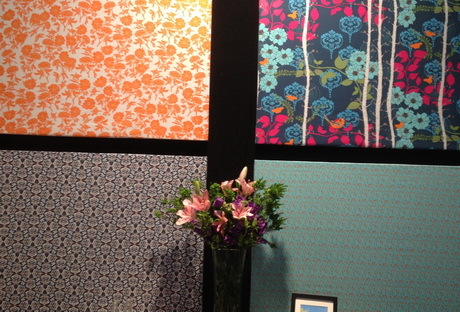 Well the Australian Quilt Market is over for 2012. It is amazing that something that can take 4 hours to set up can be pulled down, & packed up, in an hour. This morning I walked around with the camera so that I could share some of the pretty displays with you. The templates for the Sizzix system are very tempting. 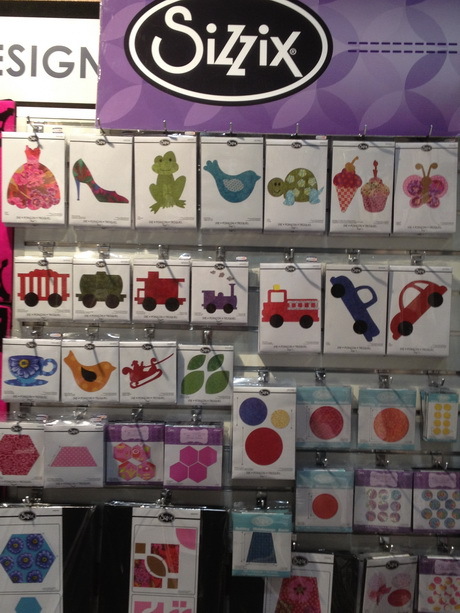 If I had a business kitting up patterns with fabric, I would be very tempted by the Sizzix cutting system. I’ve quilted lots of quilts designed by Kookaburra Cottage Designs … they are usually available from quilt shops as “Block of the Month” programs, and are a big favourite with grandmas. However, this lovely owl design hasn’t yet appeared on my quilting machine. 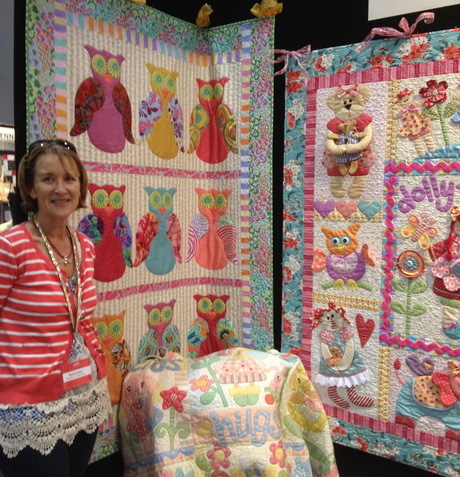 I loved the owl quilt, a design by Kookaburra Cottage Quilts. There are always a lot fabric distributors at Quilt Market, and I am always envious that they can set up their displays using big panels of fabric, and a vase of flowers. Whereas we spend hours stitching up samples to display the Aurifil thread range and unpack, and set up, lots of small items to dress our display. The last hour of the last day is usually fairly quiet, all the visitors have finished their shopping and the exhibitors are just waiting to pack up …. except most of us visit with each other to chat and go shopping. I think I always leave with something that I hadn’t planned to buy when I left home in the morning but I am not going to tell you about my purchases today … you will just have to wait until things start arriving in the shop. 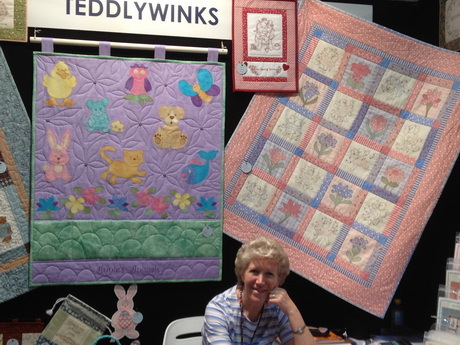 This entry was posted in Events, Home page and tagged Australia, Melbourne, Patchwork, Textile Events. Bookmark the permalink. 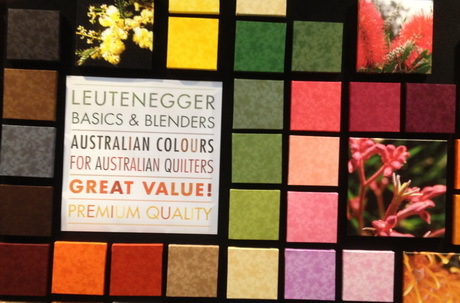 We’re really glad you liked our display – shown on that wall was our NEW blenders (called Mystique) 42 colours designed in Australia for Australian Quilters. It was a great show!! Thanks for the extra information, I am sure Aussie consumers will be looking for these threads very soon.